Case Studies « Yplatform | global insights – local impact | Connect. Empower. Inspire. 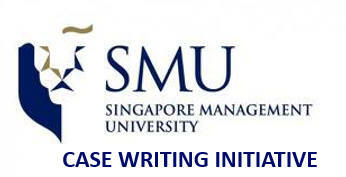 In partnership with the Case Writing Initiative (Singapore Management University), up to date, we have developed a total of 9 business cases on Vietnamese companies such as: Vinamilk, PNJ (Phu Nhuan Jewelry), VNG Corporation, Tropdicorp, and Becamex IDC. Those case studies are at international standards, written/approved by the Senior Case Writers of Singapore Management University. Some of those business cases have made their ways into real business classrooms of Singapore Management University (the hub of future regional and global business leaders), and we will be expanding our efforts in bringing Vietnamese business case studies to more universities worldwide as well as to the wider international communities. Additionally, some of our partner companies have found those business cases for training purposes. Others have found the case development process itself useful in engagement with international experts (senior case writers) for a re-look of company’s operations. The case studies could possibly be used branding purposes locally and globally as well. Please contact us at partnership@yplatform.vn if you would like to develop a case study about your company. The total duration for the case development process normally takes 4 weeks and can happen year-round.